Starbucks’ p.r. machine hasn’t taken such a big hit since the company eliminated its popular holiday cups in 2015, going with boring, basic red. But now after the much-contested arrest of two black men in a Philadelphia Starbucks earlier this month, the coffee chain is again attempting to right its damaged image. To that end, CEO Kevin Johnson already announced that 8,000 Starbucks nationwide will close on the afternoon of May 29 so that staff can undergo training on how to avoid racial bias. But The New York Post points out today that that’s a move that will be costly: “Estimates of the losses for the chain range from $6 million to as high as $30 million in missed sales during the closure period alone.” That’s not even counting the people who are already complaining about the store being closed: “I think it is overkill, closing Starbucks stores for an afternoon of training,” Hughey Newsome, chief financial officer for the City of Flint, Michigan, told The Post. So this was not exactly the best time for a bunch of meth to be found in trucks transporting Starbucks products. But that’s what happened in Washington State on Thursday, as “Centralia police said 126 pounds of methamphetamine were found in a truck hauling Starbucks products between California and Spokane,” according to KIRO channel 7. Police said they found 40 bundles of meth in a television box as well as another 50 bundles of meth, 2.4 pounds of suspected heroin, thousands of Oxycodone pills, and some cocaine under a mattress. 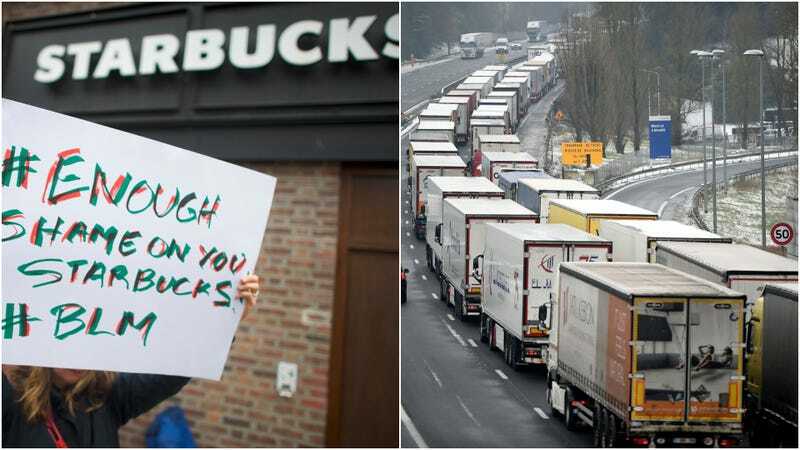 Although “a Starbucks spokesman said Friday that the driver and truck involved in were hired by a third-party company and not Starbucks,” it’s a hit Starbucks did not need this month. According to tracker YouGov BrandIndex, “Starbucks has slumped to its lowest ‘consumer perception’ measure since November 2015” and that holiday cup crisis. We’ll see what happens after that training day, but it looks like some people might have already written off Starbucks for good. Ask Kate About Beer: What&apos;s the best all-purpose beer glass?